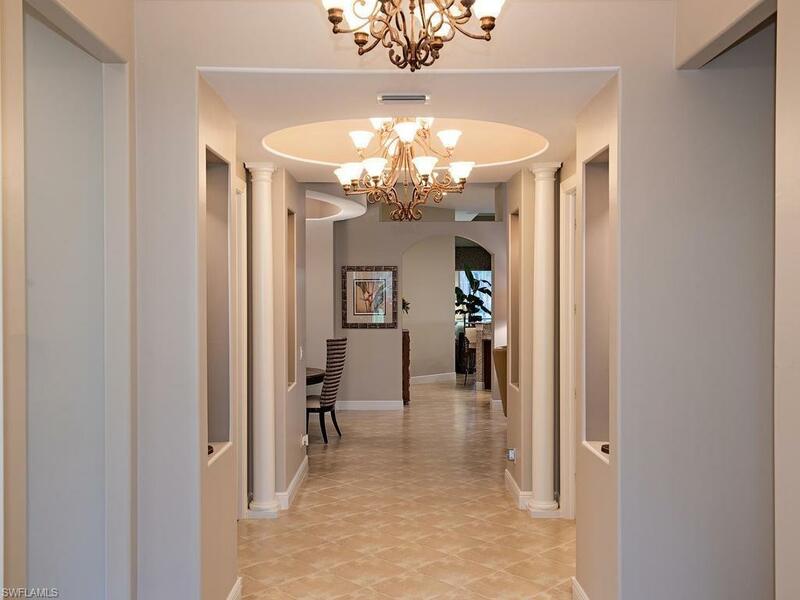 This stunning, contemporary home boasts architectural designs and touches throughout. 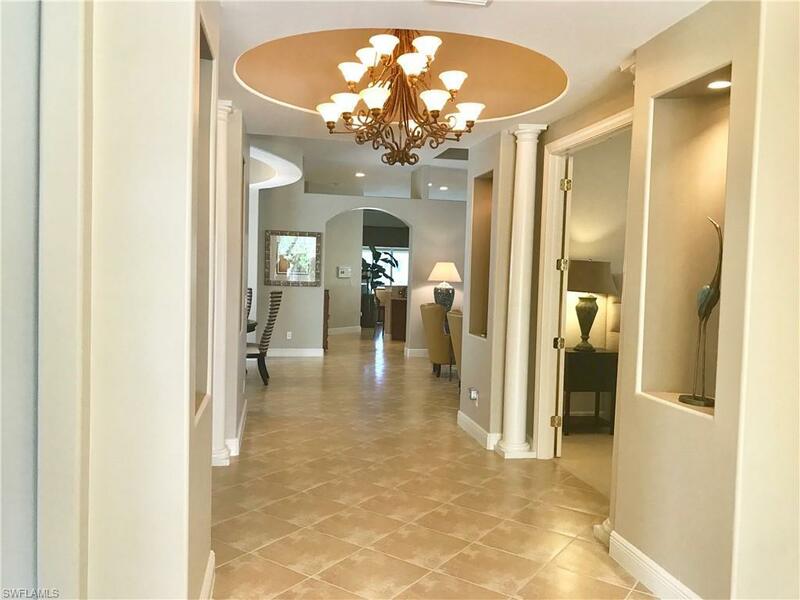 Recently painted interior in neutral colors along with Custom Plantation Shutters, stunning Window Treatments, 14 tray ceilings, upgraded cabinets, s/s appliances, 8 solid core doors make this spacious home the perfect place to entertain your family and guests. The Master Bedroom features two full bathrooms, each with their own custom designed walk-in closets. The family room and Master Bedroom open to an expansive covered lanai and heated pool w/spa that overlooks the lake and fountain. 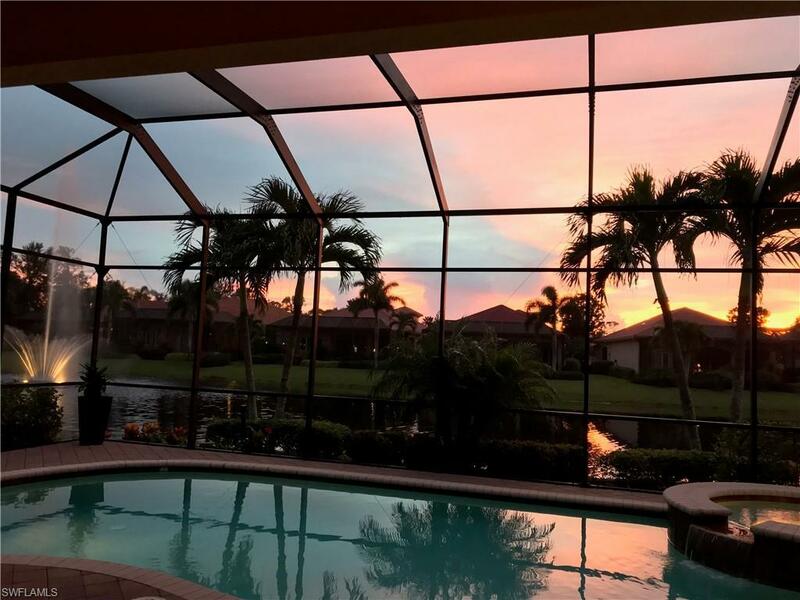 Enjoy the beautiful sunsets from your private oasis located in North Naples. Seller will pay for a one-year Home-Tech Silver Service Agreement at closing. Agents please see Confidential Remarks.